In my last post, I explained that Ol’ School Garage would now be focusing on full, bare-metal restorations. So, what is a full, bare-metal restoration? I should begin by saying that I use the word ‘restoration’ rather loosely. Our restorations often involve considerable fabrication work to accommodate an upgraded drivetrain, larger diameter wheels, a lower stance, etc. At the very least, our customer’s want more power from the original engine and upgraded suspension and brakes for a better driving experience. The term ‘resto-mod’ has been coined to describe this process (i.e. a restoration incorporating modifications). 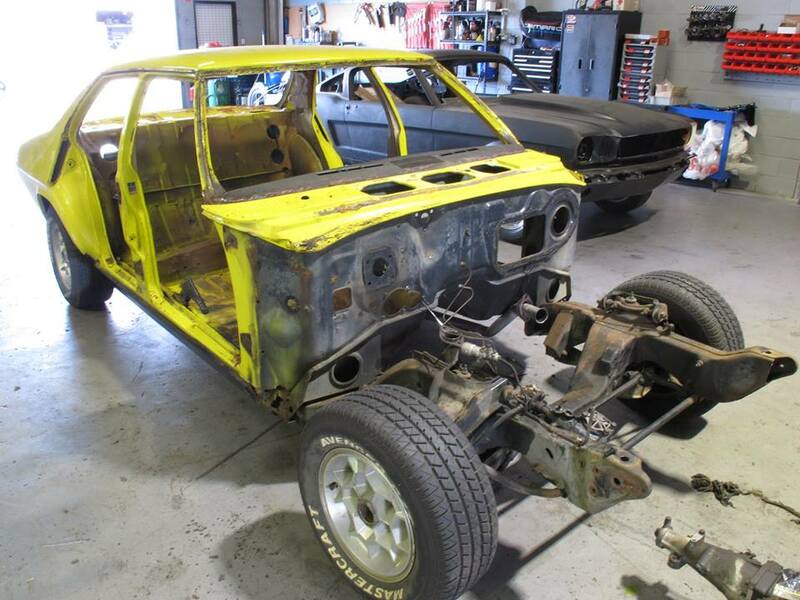 To qualify as a ‘bare-metal’ restoration, we believe the restoration process must start with the car being completely disassembled. 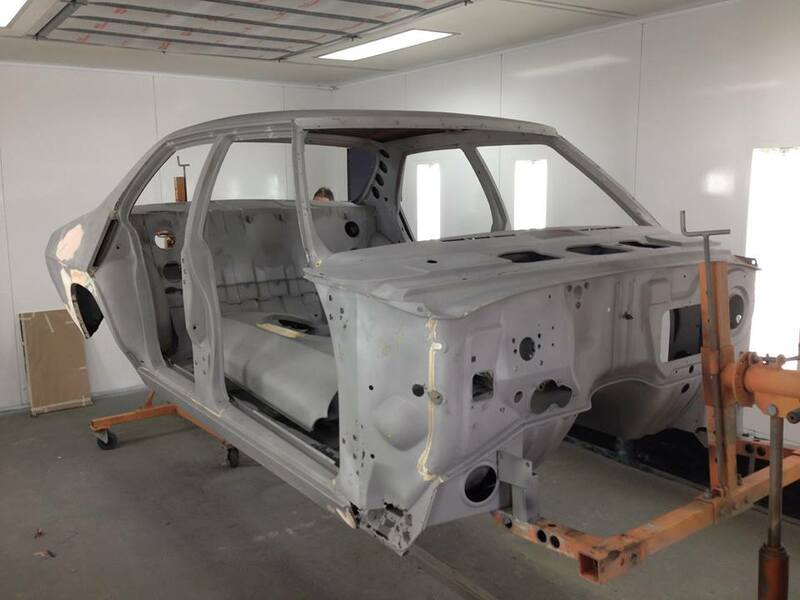 Once stripped, a specialist automotive media blaster removes all old paint and surface rust from the body, panels and parts. Removing all old paint product and surface rust is the only way to guarantee the integrity of the new paint. In addition, it is only when the car is in bare metal that all accident and rust damage be identified. We consider a ‘full’ restoration as one where all parts and systems are reconditioned or replaced. This includes accident and rust repairs, new paint, rebuilding or replacing the engine, transmission and balance of drivetrain, rewiring the car, reconditioning or replacing brakes, suspension and steering components, re-trimming the interior, reconditioning, re-chroming or replacing stainless trim and bumpers, etc, etc. The objective of a full, bare-metal restoration is to restore and modify the car so that it looks like new and performs and functions better than it did when it first left the factory. I have included some photos of some typical tasks we would undertake as part of a full, bare metal restoration. The first thing we do is fully disassemble the car ready for sand-blasting. The subframe, diff and suspension components are yet to be removed. Just back from the sand blaster. The blasting process doesn't remove the 'bog' in the old repairs and will be ground out be hand. Rust and accident damage is now clearly visible. 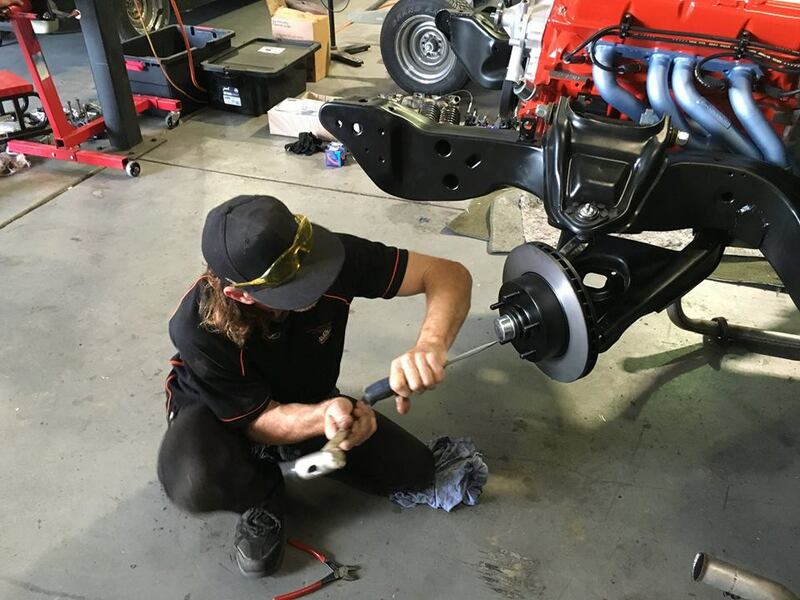 Once the accident and rust repair is complete, Roland works his way around the car fine tuning panels and adjusting panel gaps. We pride ourselves on being great metal workers. This is important, as work done here limits the amount of filler required in the paint shop. Here the reconditioned subframe and suspension and steering parts are re-assembled. The brakes are reconditioned using new or reconditioned parts. New brake and fuel lines are also fabricated and run at this stage. The re-built engine and gearbox waiting to be installed. Body work complete, the car is given its new paint livery. 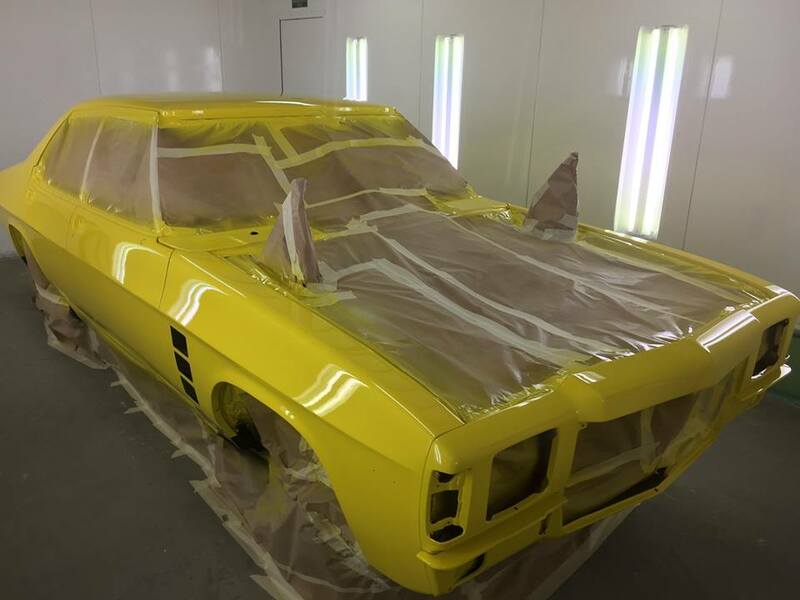 The preparation and painting process involves a number of stages and is often the single most labour intensive process in a restoration. After the painted car is assembled, it will go through significant testing to make sure everything functions as it should and iron out any bugs found.